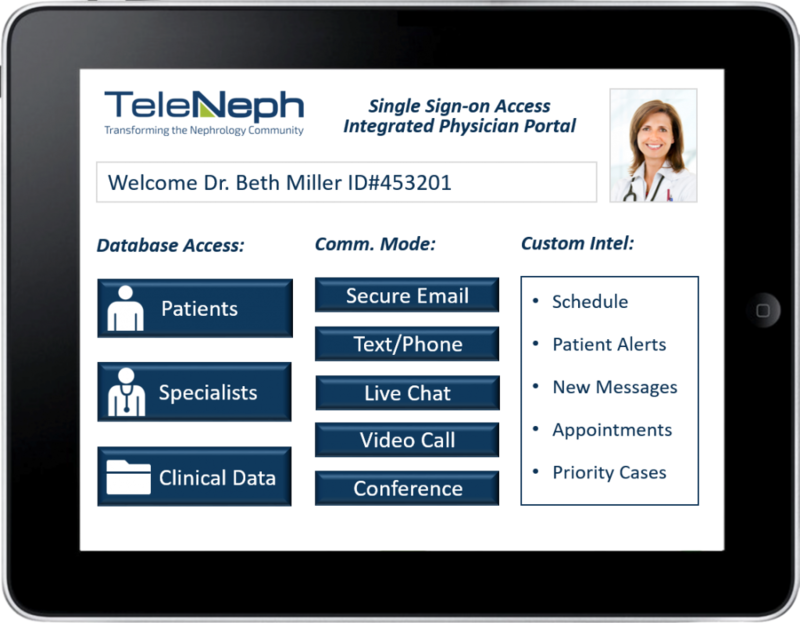 TeleNeph was founded to provide nephrologists with a single telehealth application to improve patient care and improve provider efficiency. TeleNeph’s technology solution allows for a single sign-on to obtain access to the patient, a specialist, clinical information, and/or data. TeleNeph was designed to provide a nephrology-focused technology application that is simple to implement and simple to use for providers and patients. TeleNeph Copyright 2018 - All rights reserved. Site Designed and Developed by CorpComm Group Inc.